Hydraulic bale press with pressing force 20 tons and capacity to produce 1pallet (EUR) size bale. Pressure is realized by hydraulic cylinder with adjustable press force, which ensures long-term reliability in achieving high pressure. Pressing chamber is filled from the top after pressing head is moved to opposite position. Front door allows easy removal of the bale from the pressing chamber. Design of the chamber allows lashing a bale in 4 places by PE strap or wire. 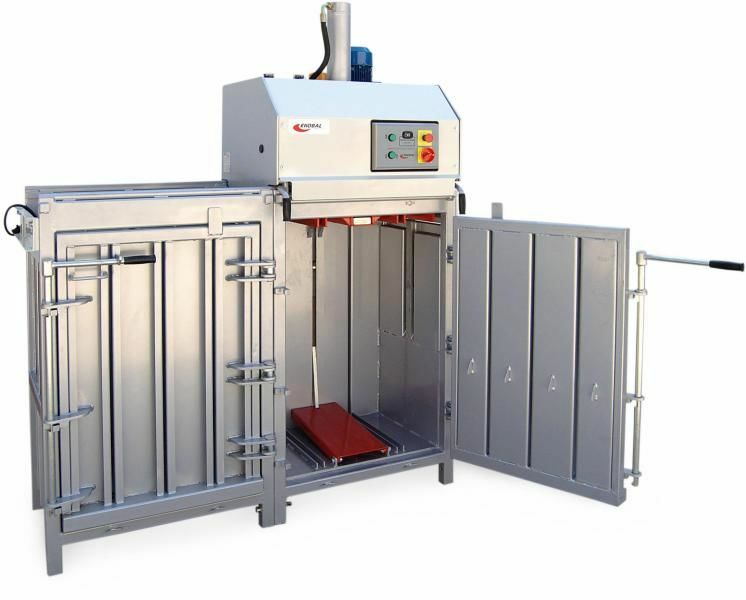 Bale press is designed to have multiple pressing chambers within one unit with only one the pressing head (increasing production capacity and waste sorting with minimal purchase costs). Product is suitable for medim and large size companies and customers such as hypermarkets, junk yards, warehouses, logistic companies, factories etc.